In my 35 years here on earth I have discovered the things that I spend way too much time on and topping that list is “doing my hair.” I have long hair that I love… when it is “done”, but as a mom of littles I have realized that ain’t nobody got time for that! That is 60 MINUTES!! EVERYDAY!! Seriously, that is insane. No one has that kind of time to spend in the bathroom, just on hair. So, not too long ago I decided it was time to deal with this time sucking problem. I did some research, tried some different things, and am now at the point where I wash, dry and style my hair once a week. Step 1. Wash your hair twice. Yes, you read that right. 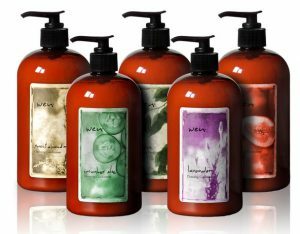 I used to wash my hair with shampoo, rinse and move right onto conditioner. Not anymore. I read to try washing your hair with your shampoo twice before moving on to your conditioner, and it really does make a huge difference. With the first wash you are removing all the dirt and product out of your hair. The second wash will actually remove all of the oils from your scalp. Then you can move on to your conditioner. This step may seem like you aren’t saving yourself anytime or money, but if you think about it you really are. If you have to wash your hair every day, that is 7 times a week. With this strategy you are only washing 2 times a week. That is a huge savings in time, product and money. Step 2. Condition only the lower half of your head. This may seem odd, but it especially true if you have long hair. The hair that is right up against your head will be conditioned naturally by the oils produced by your scalp. Therefore, it doesn’t not need to be conditioned. Adding conditioner here will only add to the amount of oil, leaving your hair looking and feeling greasy faster. 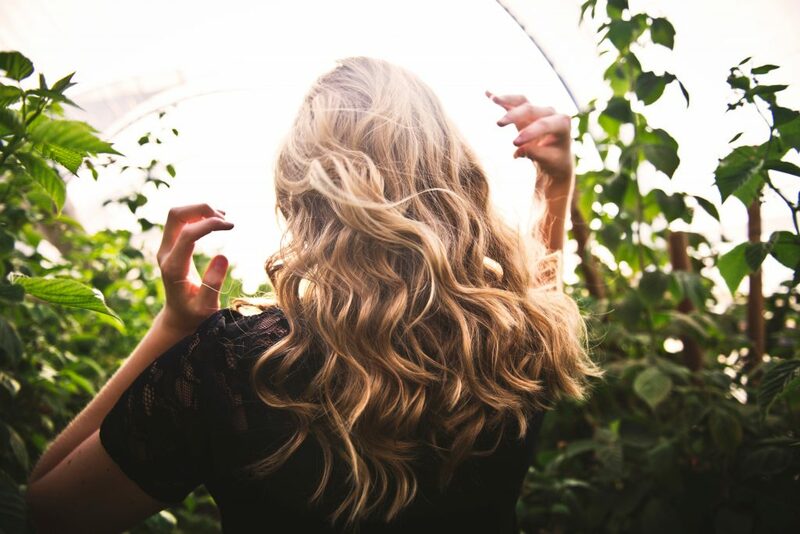 Before drying your hair add a texturizing spray, root booster or uplifting foam. 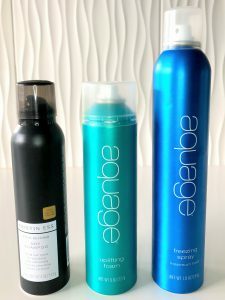 My favorite is Aquage Uplifting Foam , which I have used for years. It is a foam that is sprayed right at the roots of your hair. I like to part my hair, spray a line right in my part, then move my part over an inch or two and spray another line. I repeat this over the entire top of my head. After I have covered the entire area I work the foam into my roots with my fingers and then brush it out. For this, I don’t have any extra advice. I usually like to wait about 30-60 minutes after my shower to blow dry my hair. The only reason is because my hair is partially dry by then, so it doesn’t take nearly as long to dry as when I first get out of the shower. You guys, DRY SHAMPOO IS LIFE! Everyone needs a bottle of this in their lives, it is such a game changer. Once you try it you will never go back. I apply this right after I blow dry my hair. It may seem odd to add this right after washing your hair, but it will help absorb your natural oils as they are produced. This is sprayed on in the same manner as the root booster. Just spray into your roots. I leave mine as is for a few minutes before working it in. I usually will spray it on, let it sit while I brush my teeth and then work it in. Again, I just do this with my hands. It will look chalky when you first put it in, that is totally normal. I work it in really well with my hands and then brush out my hair with my paddle brush. My hands down, absolute favorite is Kristen Ess Dry Shampoo. This stuff is amazing. Ill be honest when I first tried dry shampoo I went for the cheapest bottle I could find, which was around $5. That stuff was just crap, and I tried quite a few of them. A few months ago I found Kristen Ess Dry Shampoo at Target (we all know we are there at least once a week anyways). It is $14 a bottle and worth every penny. This stuff changed my life? I like to curl my hair right away. 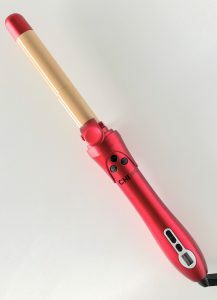 I use my CHI ARC 1″ Curling Iron . (Another AMAZING product.) The 1 inch barrel gives a really tight curl that can then fall over time. I then just set my hair with a light layer of hairspray. There is really no need to go over board here, and sometimes I will skip this step all together. I find it allows my curls to fall a bit faster. 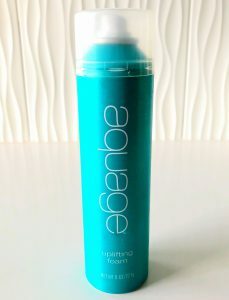 My favorite hairspray is Aquage Beyond Shine Spray . Days 2-7 are where you reap all the rewards of the upfront work you did on day 1. When I first started this process I would add a little Dry Shampoo each morning, by repeating step 5. Spray it in, let it sit for a few minutes, and work it in. The longer I have done this, the less dry shampoo I use. 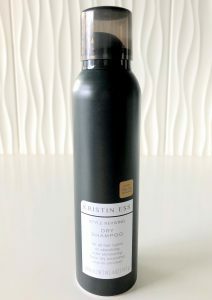 The first month I went through an entire bottle of the Kristen Ess Dry Shampoo, but now it lasts me somewhere between 2-3 months. This is a process. You are not going to be able to go from washing your hair daily to once every 7 days immediately. The first time it may be 2 days, then 3, then 4 and so on. You have to retrain your hair and scalp to not be dependent on shampoo every day. Your scalp will naturally slow the production of natural oils as you wash your hair less and less. But it will take time. It took 2-3 months for me to get up to washing my hair every 7 days, and there are times that I will have to wash it at day 5 or 6, just depends on what activities we are up to. Try not to touch your hair as much as possible. The whole point is to keep oils out of your hair. Your hands have natural oils on them too, so each time you touch your hair you are putting more oil in your hair. Don’t be afraid to try different things. I know someone who straightens her hair on day 1 because she feels like she doesn’t touch it as much. Then she will curl it on day 4 or 5, which will get her to the end of the week. For me I like to curl it right away, then I really don’t have to touch it the rest of the week as my curls slowly drop. Day 1 I have date night worthy curls. Each day the curls fall a little more, days 2-4 they are more of a relaxed look and by days 5-7 they are more of a beach wave. Each person is going to be different, we all produce our natural oils differently. What might work great for me, may need to be tweaked a little bit for you. I encourage you try and change up your routine to see if you can save yourself a little bit of time each day, and as always let me know if you have any questions!! I keep trying to do this and can’t make it past 2 days of not washing. I end up looking so greasy! I will try some of these tips I hadn’t thought of before. Thanks!